This is a signed, first edition. 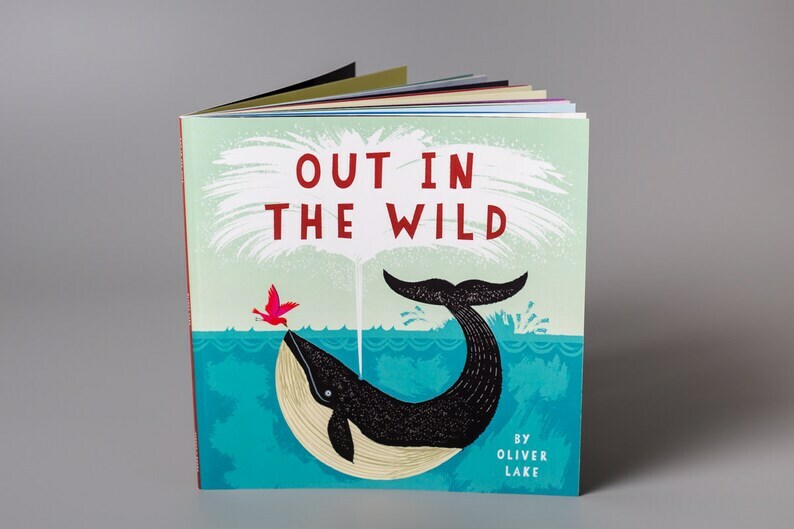 'Out In The Wild' is a children’s book inspired by unusual animal friendships. The book showcases 24 full-colour, full-page illustrations. With 24 pages of humorous rhyming verse, featuring a wide range of wild animals. Including animal facts and trivia to stimulate learning about the natural world. Animals have always fascinated me. Having done a little research, I found the incredible true stories of bonds developing between different species of animals, to be the perfect inspiration for a children's book. Bird and Whale, Peacock and Panther, Elephant and Eagle, Giraffe and Chipmunk, Fox and Frog, Leopard and Lemurs, Seal and Guillemot, Bats and Owl, Polar Bear and Husky, Orangutan and Monkey, Alligator and Armadillo, Cheetahs and Gazelles, Stag and Finch, Koala and Kookaburra, Pig and Rooster, Tiger and Tom Cat, Bear and Bunny, Octopus and Crabs, Kangaroo and Wombat, Pelican and Fish, Sloth and Hummingbird, Hippo and Flamingo, Lion and Zebra, Gorilla and Toucan. • Size: 22cm x 22cm. (Approx: 8.66 inches x 8.66 inches). • 52-page, fully illustrated storybook. • Includes illustrated title page and illustrated inside cover end pages. • 300gsm matte laminated finish softcover. • 110gsm printed interior pages on high quality silk paper. The age range for children is: 4-10. Though it has plenty of appeal to anyone who enjoys the art of children's books. This book is suitable for anybody who loves animals. Please message me if you have any queries and I'll be happy to help.